It was this thought that inspired the invention of the Diamond Pier Foundation System. If you’ve ever spent an entire day digging holes in the hot sun or freezing cold, or tried to dig post holes in a sandy beach terrain just to have the holes collapse, or had a project delayed waiting for a hole inspection, then you’ve probably had this same thought. Diamond Pier IS that better way. 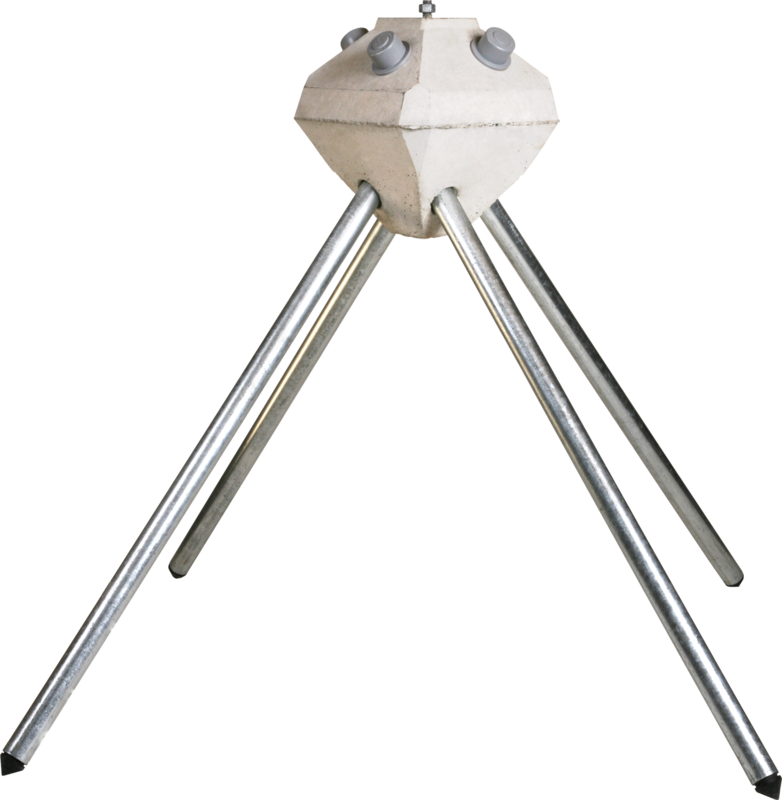 Based on time-tested spread pile technology, the Diamond Pier uses the strength of a precast concrete head to lock in 4 weight bearing, galvanized steel pins that transfer your load to a larger area of undisturbed soil than the traditional concrete footing. Functioning like tree-roots, this spread pile technology is fast, smart, low-impact, and sturdy. 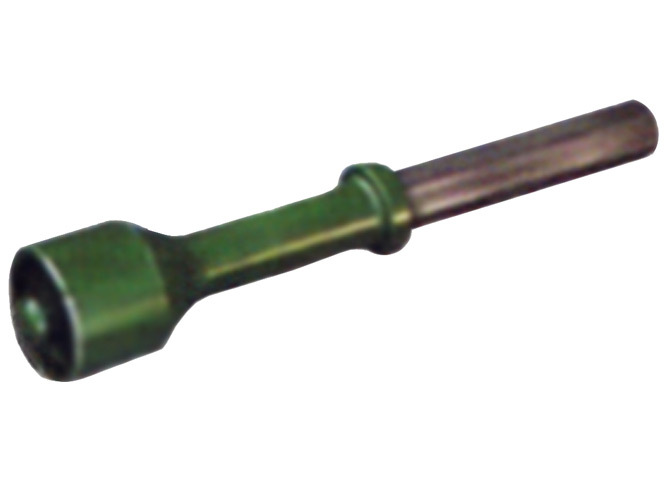 The pins can take only minutes to drive in, saving the contractor days of labor, and there is no waiting around for a hole inspection, as the Diamond Pier is inspected by simply running a measuring tape down the pipe after installation. The Diamond Pier has had years of extensive 3rd party testing and ICC evaluations, and has been used by Local, State, Federal and International Agencies for over 25 years on some of their most demanding projects. The Diamond Pier has the strength, reliability, and ease that you need for your business. No heavy machinery, no waiting for a certified installer since you can install the Diamond Pier yourself. Are you ready to save days on your projects? 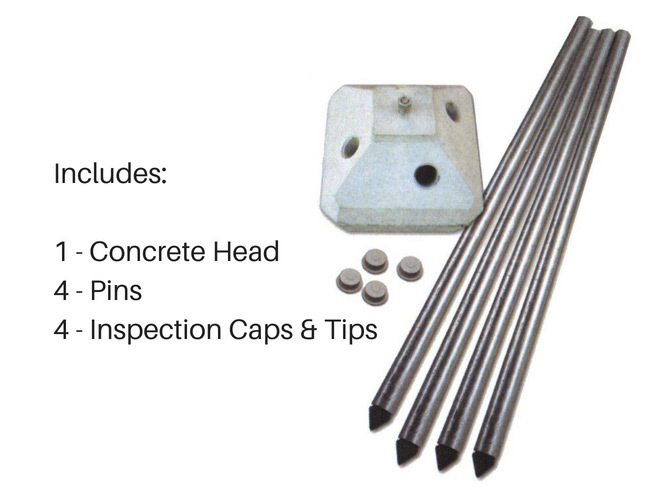 Diamond Piers are available to builders and home owners in the Chicago area. There is a $75 Delivery Cost, regardless of quantity, delivered directly to your home or job site. For Customers Outside Chicago - Add piers into cart to get ESTIMATED shipping costs. Please call for actual shipping costs prior to submitting order.